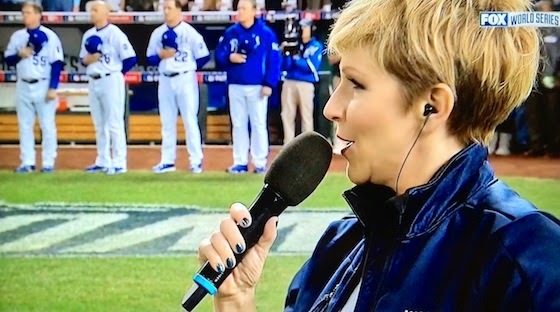 Clad in Kansas City Royals-blue fingernail polish and knee-high black leather books, Joyce DiDonato delivered the National Anthem at the 2014 Worlds Series with quivering and deliberate tone that did the opera world proud. 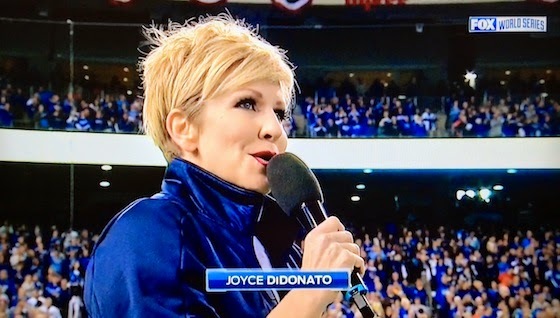 Looking as hip as any pop star, the mezzo-soprano is a Kansas City native and lifelong baseball fan. Watch the performance, and a special news feature about the event, after the jump.